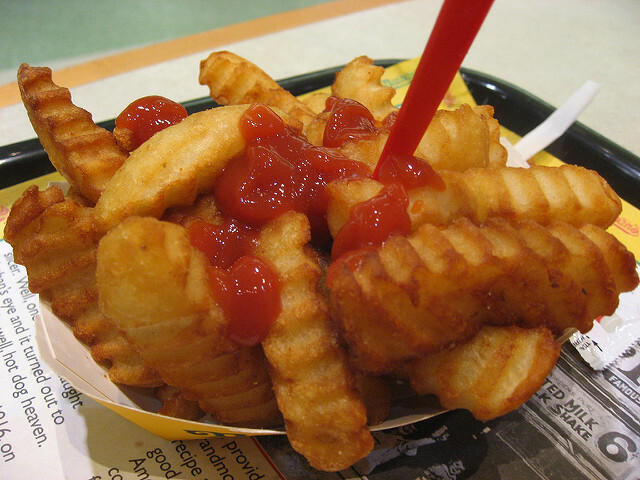 Today Is National French Fry Day! ***** Today Is National French Fry Day! I know, I know- dumb dumb dumb! That said, in his day- Jeff Eats has eaten his fair share of French Fries- and Nathan’s Famous French Fries are still my all time favorite! You can check nathansfamous.com for locations/info. Happy National French Fry Day To All! Can’t wait for National General Tso’s Chicken Day! Jeff, I have to agree with you, Nathan’s ff are amazing. Put me down for Nathan’s ff. They are the best. Just a thought, but Zinger’s in Boca has delicious fries. Nobody has better fries than Nathan’s at its original Coney Island location. Same goes for its franks. Miami subs sells Nathan’s Hot Dogs and FF. ALSO publix and Winn Dixie sells both frozen. No better French Fries than Nathans! I just turned 93. I think I still got all of my marbles. I’m old but I think that Nathan’s is over 100. I lived in Brooklyn for over 70 years. I must have eaten at Nathan’s in Coney Island a 1,000 times. Nathan’s French fries are incredible. Nothing beats 2 Nathan’s hot dogs with mustard and warm sauerkraut and those fries. Way back, Nathan’s had a non carbonated orange drink that I loved with the dogs and fries.